Join The Nadas on this incredibly unique opportunity to visit Cuba. 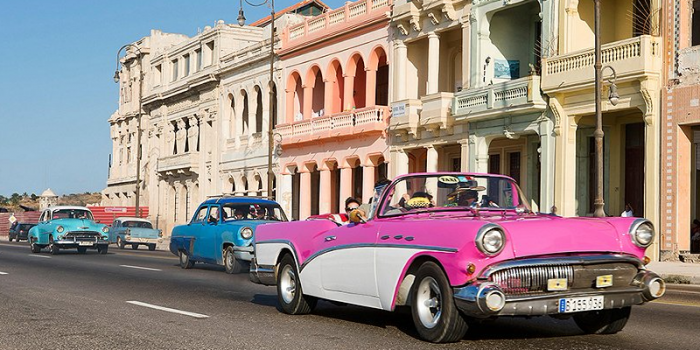 Unlike the normal 6-8 hours in a port of call, we'll spend a full 29 hours in Havana, plus a day in Key West. 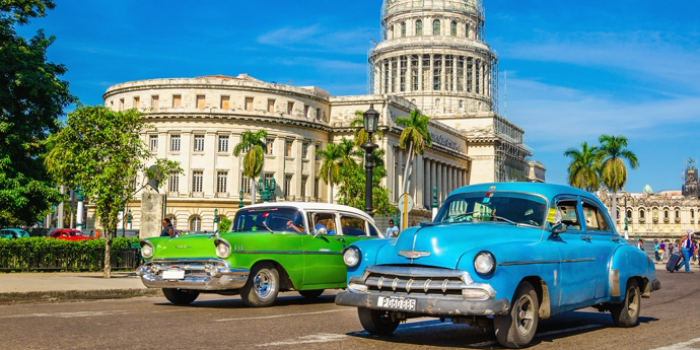 Enjoy the music and camaraderie and get away from the winter cold with this unique chance to experience Cuba before it changes forever! We offer Travel Insured's Group Deluxe Insurance Plan. Protection includes trip cancellation/interruption coverage for reasons of illness or death of yourself or a family member. The insurance also includes coverage for emergency medical, baggage loss or delay, travel accident, supplier default and 24-hour assistance. Prices and full information are available at http://fanclubcruises.com/PDF/TravelInsured10000_2016.pdf. Call or email us if you have any questions. Yes, every guest who plans to go ashore in Cuba must have a tourist visa. You may also hear this referred to as a visitor card or entry card. Royal Caribbean can facilitate this at a cost of $75 per person, which will be automatically added to your onboard account on Day 1 of the cruise. At embarkation, you will receive your visa and you will be responsible for presenting it to Cuban authorities upon arrival in Cuba. Should you lose your visa, a new visa can be purchased onboard at an additional cost of $75. If you intend to remain onboard the ship while in Cuba, no visa is required. Guests traveling to Cuba must meet the requirements of one of the 12 categories of permitted travel authorized by the U.S. government. All Royal Caribbean tours meet these requirements. A Travel Certification document must be filled out before sailing. Each traveler must bring two printed, completed copies to the port for the embarkation process. Every guest is also required to have a passport book valid for at least 6 months after the sail date (NO passport cards or other forms of I.D. will be accepted). This includes minors and those who do not plan to disembark the ship in Cuba.